To my delight and surprise the software provider of this tool has reached out to me…proactively. Checking to see if they can help me in any way. They offer useful tips and suggestions to make sure we are getting the most out of the tool. And sure enough, the approach works. I am more engaged with the tool, taking more advantage of the features I may not have been aware of otherwise. And, I am likely to become more dependent on this tool. Ah…there is the key…customer stickiness. I am now more likely to be a long term, loyal customer who renews my subscription. The experience is great. It makes me wonder if the proactive approach is the new norm for providing an exceptional customer experience. Is it what will be expected for customers to be wowed by the products they use rather than just somewhat satisfied or pleased? Providing this little bit of extra attention could end up going a long ways in impacting the experience of the customer. I also think about large contact centers who service and support thousands and thousands of customers. How might a contact center team prepare, staff and cost-justify the additional expense? The agents making the contact will have to be well coached experts about the products or the call may backfire. What if the customer is unhappy? Do you also provide a proactive refund and enable the agents to make that call with the customer on the line? The well-intended call could have implications that are very broad and complex for a large organization to digest and manage. But if this is the new normal then we will need to adapt. Also, how will companies incorporate the proactive contact into their operations? Is it a phone call or email and how many times do we attempt to contact our busy end customer? Might a company use the opportunity to up-sell their customer on other products to help offset the expense? Or is the long-term value of the customer justification enough to take this extra step? If your company is not engaging in proactive customer service, it may be a new strategy for your organization to consider. 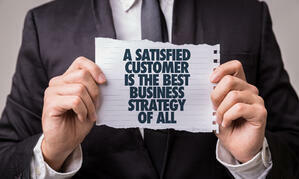 The opportunities and customer retention delivering this proactive service may very well outweigh the challenges.